Maybe you’re not the religious type. Maybe you hate hard boiled eggs. Even still, for this week’s Shooting Challenge, I think we can all agree that Easter eggs are a very important message to nature that it got things wrong, and eggs really should come in fuchsia and teal. Take a photograph of Easter eggs. You can be mid-dyeing them, or photograph the finished product. Just do your thing around the theme. Dyeing the eggs is on you. But as for photographing them? You only need one tip. Just like food photography, they’ll come out best in natural, diffused light. What’s that mean? Assuming you’re inside, put your eggs by a window to take the photo. Our lead image is by Carodean Road Designs. What I like about it is the fullness of the subject—there are a lot of eggs in that shot, and they aren’t just stuck in an egg carton. A little positioning of your egg(s) can do a lot to make your work look more professional. 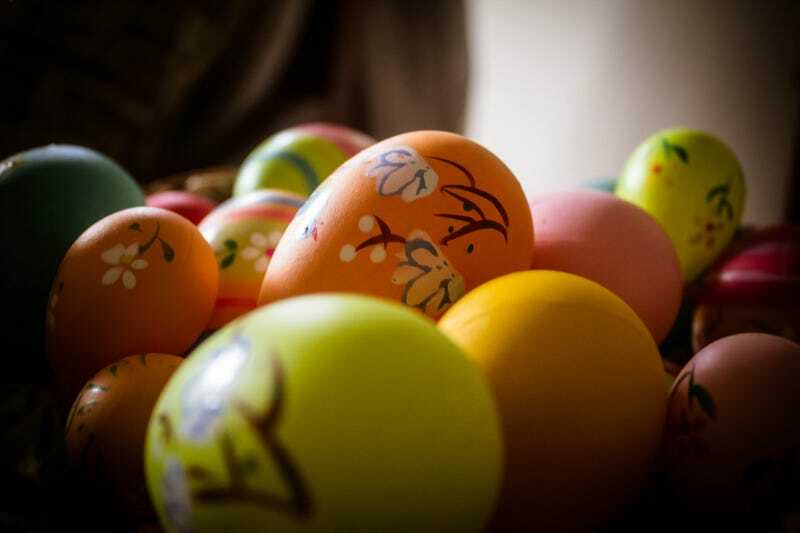 Send your best photo by Monday, April 6th at 10 AM Eastern to contests@gizmodo.com with “Easter” in the subject line. Save your files as JPGs, and use a FirstnameLastnameEaster.jpg (970px wide) and FirstnameLastnameEasterWallpaper.jpg (2560px wide) naming conventions.